The temptation to binge can indeed be one of the hardest things to overcome. However, there are some useful tips that can help deal with this temptation and help you eventually overcome it. Jumia Food shares 5 useful tips to deal with binge eating. It is easier to deal with binge eating when you’re mindful of what you eat. Keeping record of what you eat in a food diary can help you do just that. Most people tend to binge when they are alone or around food or both (alone and around food), exploring food-free ways to socialize can help involve you in activities that don’t involve eating and that can otherwise fill the ‘void’. It will thus make it easier for you to eat less and even develop healthy eating habits in the process. If you make a habit of eating this and that, here and there, you’re going to end up eating more food than you should be eating in a day. Harmless bites or spoons of this and that can easily accumulate into quite an alarming intake that will only fuel your overeating. Ensure that you time your meals (eat within certain periods of the day) and eat meals in a comfortable and relaxed setting (preferably when sitting), this way it’ll be easier for you to keep better record of what you’re putting into your mouth. Learn to question your hunger. Before you ravage that cup of delicious-looking ice cream, why not ask yourself if you’re really hungry. Consider if you just want to eat the ice-cream because it is there or because you really are hungry. Consider if you probably feel such a strong desire to eat because you’re actually bored and have nothing else to do, or because you’re just using food to make up for or procrastinate from something. Learn to question your hunger. 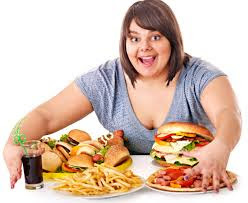 You’ll at the end of the day realize that most times you want to indulge, you really are not hungry and if you involve yourself in another activity for 10 minutes, an activity away from food, you’ll witness yourself overcome whatever urge to binge that seemed so uncontrollable a few minutes ago. This is quite obvious at this point. The No. 1 enemy of overcoming binge eating is dieting because when the diet is over, you are very likely to end up binge eating again. Rather than dieting, just make a decision to eat healthily. Many studies have shown that calorie counting and conscious dieting are associated with overeating. 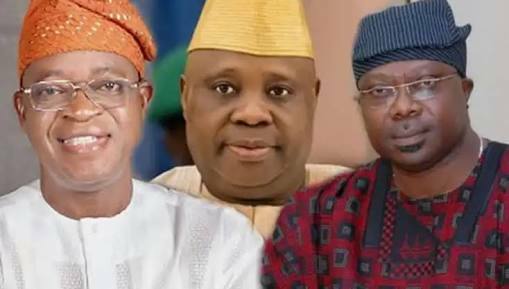 Osun Rerun: Omisore, Lasun Agree To Help APC Fight PDP?